When you step off of a dock and onto a houseboat, you might not know what to expect for the voyage ahead. After all, houseboating isn’t your typical vacation. Few other forms of accommodation allow you to take your bedrooms, kitchen, living room, and bathrooms along with you to the places you’d like to explore. While a houseboat is certainly a versatile way to vacation, you might expect some tradeoffs when it comes to amenities. At Rainy Lake, our vessels never sacrifice comfort for mobility, and you can expect pleasant accommodations that meet your needs for any trip. When you spend time on our luxury houseboat rentals, it’s easy to forget you’re on the water. 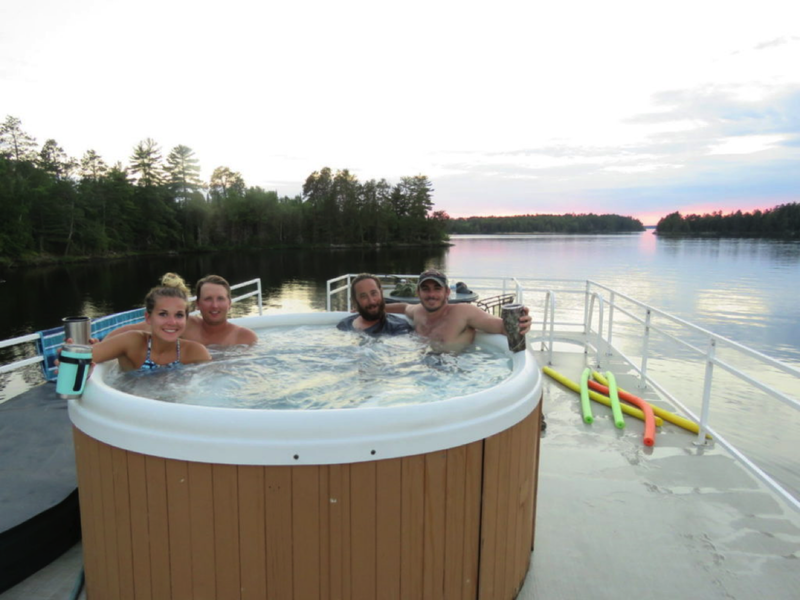 Read on to see what makes our top-of-the-line boats feel like home for Rainy Lake visitors. Our houseboats prove that you don’t need to sacrifice accommodation conveniences when you’re spending time on the water. Take the Lady of the Lake houseboat for example. This 54’x16’ vessel comfortably sleeps up to a dozen people, yet it’s still relatively easy to maneuver around Rainy Lake. On this boat, you could spend your morning lounging on the 8’ front deck with the breakfast you cooked in the boat’s full kitchen. After a day of fishing, you might decide to watch the stars from the boat’s large aft deck, before calling it a day and escaping to your cozy queen size bed. Our boats’ maximize every square inch of space, and you’ll never feel cramped in these quarters. At some point during your houseboat vacation, you’re probably going to want to step off of the boat and explore what surrounds you. One great way to experience the best of Rainy Lake is to cast out a line for some world-class fishing. Whether you’re looking to catch walleye, northern, muskie or another species, you will find that fishing makes for the perfect expedition on a houseboat vacation, and you may just become a fish magnet on the water. If you’ve never been to Rainy Lake, it might seem a little intimidating to navigate new waters for the best fishing spots. Minnesota Fishing Hall of Fame guide Bill Dougherty provides a fishing report available in the office for your use. We also have expert fishing guides who will help you zero-in on the lake’s fishing hotspots, so you can spend less time searching and more time reeling in keeper after keeper. 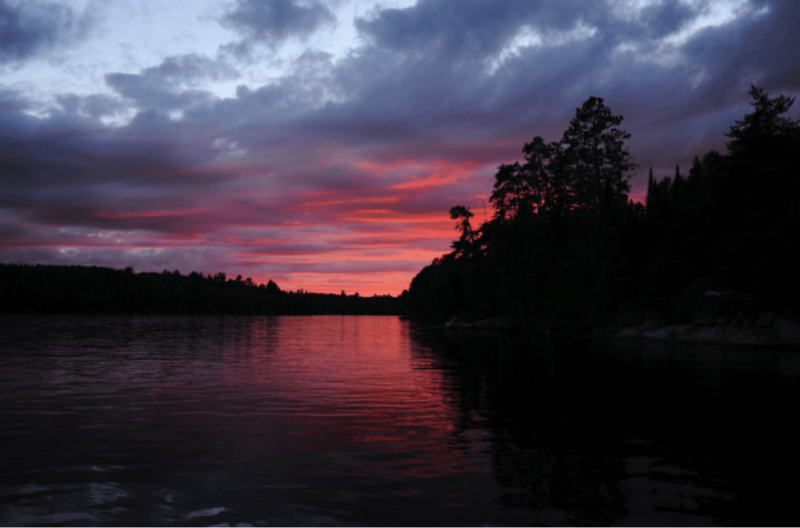 Houseboating in luxury means experiencing the best of the nature around you, and the fishing around Voyageurs National Park will not leave you disappointed. Houseboat features vary by vessel, so be sure to check out our fleet to find the amenities that will help take your vacation to the next level. For a truly luxurious houseboating experience, dining makes a difference. When it comes to sharing a meal with friends, family, clients or coworkers, there is no setting quite like a houseboat. Rather than asking a restaurant host for a table with a view, you can take your meal wherever you please, and experience 360° vistas of serene waters and remote northern woods. After a long day of fishing, there’s nothing like enjoying a fish fry surrounded by unparalleled natural splendor. If you’d rather not do the cooking yourself, our high-end Chairman II vessel comes with a professional chef on-board. Just sit back, relax and enjoy unique flavors from a culinary expert who will go the extra mile to make your houseboat dining experience truly unique. The Chairman II is ideal for company bonding trips or client entertainment, and you’re sure to impress anyone who steps aboard this luxury vessel. Ready to experience luxury in a setting unlike any other? Voyageurs National Park remains a hidden gem, and a houseboat is a special way to explore everything it has to offer. Spring is the perfect time to find a houseboat vacation package, so make your reservations before someone else books your vessel of choice!